Recently remodeled facilities at both centers; including a new Activity Center in Wheatland which offer a weight room and gym open to the public. 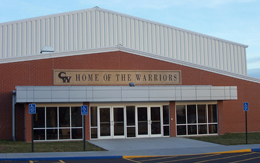 C-W students excel in academics, fine arts and athletics. High Schools students have 78 available classes to choose from, including several college classes taught by teachers in the district. Calamus-Wheatland is a member of the Big-East Conference that consists of 13 schools. 66% of high school students participate in extracurricular activities.